If you are a Java developer working on a Java JEE projects like a Java Web application running on Tomcat or Glassfish, or you want to get into that by learning server-side technologies like Servlet, JSP, and JDBC then you have come to the right place. In this article, I will share some free online courses to learn Servlet, JSP, and JDBC at your own pace. If you want to become a rockstar Java web developer then you must have a good understanding of these basic web technologies before you learn frameworks like Spring and Hibernate. These frameworks work on top of these basic technologies and if you don't know them then you would often struggle to debug and troubleshoot problems in the real world. Before you start with these courses to learn Servlet, JSP, JDBC, and Java FX, let me give you a brief intro of what are these technologies and what is their role in a Java web application. Servlet is a Java class which run inside the container. It allows you to process HTTP request and generate dynamic web pages but it's more Java then HTML like you need to code HTML inside Java which is both erroneous and not recommended. 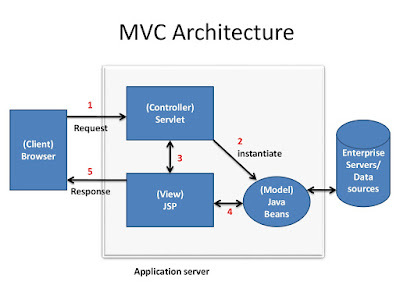 Servlet is mainly used as Controller in web applications created using the MVC design pattern. One of the popular examples of that is DispatcherServlet of Spring MVC framework, which acts as a front controller. Its job is the received request and process it but view generate or dynamic web page generation functionality is passed down to JSP. Though it provides the data that need to be shown in JSP, which makes the view part of the Model View Controller (MVC) design pattern. 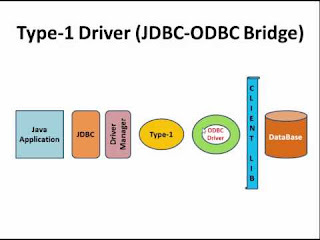 JDBC is something which you can use in both core Java and Java web application. It stands for Java Database Connectivity and it literally provides API to connect with a database and retrieve and save data generated by application level. JDBC is often used in the persistence layer using the DAO Pattern. Java FX is relatively new technology as compared to these three but it allows you to create GUI. It's an alternative of Swing which many of you might have used before to create thick clients. I have been sharing a lot of free resources e.g. online courses and books from quite sometime now and if you are the first time here then you can search through this blog to find out free courses on Java, Python, Linux, Angular, Oracle, and many more technologies. In this article, I am going to share some of the free online training courses which you can use to learn Java web technologies like JSP, Servlet, JDBC and Java FX. Most of these courses are from Udemy and they are legitimate free resources i.e. their author made them free to give community back. These courses are not very comprehensive like the paid course but provide a good overview of the above-mentioned technology. They are ideal for someone who wants to learn Java web development and looking forward to learning web frameworks like Spring, Hibernate, and JSF etc in the future. This is an awesome FREE course to learn Servlet and JSP which is driven from one of the paid course on JSP, Servlet and JSTL "Java server pages (JSP), Servlet & JSTL tutorial" on Udemy. The purpose of this course is to teach the fundamentals of Java web technologies to students and beginner web developers so that they learn the popular framework like Spring, Hibernate, and JSF in the future. This course covers most of the basics of Servlets and JSP and the student would get a fair idea of how a JSP application web application is built from scratch. You will not only learn about theory pat like Servlet life cycle, JSP scripting elements, deployment descriptors, and annotations but also gain some hands-on knowledge about setting up your development environment for Java web development and creating a basic application based on MVC pattern. Overall a good free course to start with Java web technologies like Servlet and JSP. This is another free course from Udemy which will teach you JSP and Servlet basics. This is a beginner level course and even though you are expected to be familiar with Java, you are not expected to have any experience with Eclipse, Maven, or Tomcat. In this course, you will learn the basics of developing a TODO Management Application using Java Servlets and JSP with Login and Logout functionalities in 25 steps. You will also learn basic of web application architecture like Model 1 and Model 2 MVC pattern, Java EE technologies like Servlet, JSP, scriptlets, JSTL, Deployment Descriptor, and expression language. As part of this course, you will learn how to install Eclipse and get up and running with Maven and Tomcat on your own. Since Database is an integral part of modern web applications, good knowledge of JDBC is must for Java developer and this free course teach you JDBC from scratch. As I have told you JDBC provides API to connect to the database and request information from it by running SQL queries. JDBC provides different classes to execute simple SQL queries as well as complex stored procedures and this course will teach you both. The course starts with giving a brief overview of JDBC and then teaches you how to connect to a MySQL database using Java JDBC. It shows you how to set up your development environment with the MySQL database drivers and then how to execute SQL query and process result set to get the data you need. It also shows you to perform basic SQL commands like select, insert, update, and delete. The course then moves on to advanced topics such as PreparedStatement to handle SQL parameters and prevent SQL injection in Java web application. It then shows how to call stored procedures using various parameter types (IN, INOUT, OUT and ResultSet)and how to process large data types such as BLOBs and CLOBs. Finally, the course wraps up with a section on reading database connection information from a configuration file. Overall, a good course to start learning JDBC API for free. This is another free course to learn JDBC on Udemy. This course is also a beginner level course and teaches basics concepts of JDBC e.g. drivers, running SQL queries, processing results, calling a stored procedure and more. The course also explains the roles of JDBC, Servlets, and JSP in web application and provides a demo Program to communicates with Database by using JDBC. This is also a free course and you can use this course along with the previous course to learn JDBC better. Java FX allows you to create GUI based application using Java programming language, much like you create a desktop application like Eclipse and IntelliJ IDEA using Swing library. It was touted as replacement of Swing and considered to be much more lightweight and provide more features and better performance. This course will teach you the basics of JavaFX like GUI components and concepts like nodes, buttons, and panes and slightly more complicated things like shapes, colors, and property binding. The course also explains all of the syntax and terminology at the beginning of each lesson, but will always be implementing the concepts throughout the lesson. This means that if you know the terms, but not how to implement them you should still be able to enjoy the course. In addition, we will have extensive case studies that will allow us to tackle real-world problems using the ideas we have discussed. The course also uses Eclipse and standard Java tools for coding and demo purpose. That's all about some of the free online courses to learn Servlet, JSP, and JDBC. You can use these courses to start with Java web technology and create your own application which can generate a dynamic web page and interact with a database. Good knowledge of JSP, Servlet and JDBC are required to further learn industry standard frameworks like Spring and Hibernate. If you want to go on desktop and GUI development space then JavaFX is a key technology to learn. Thanks for reading this article so far. If you like these free JSP, Servlet, and JDBC courses then please share with your friends and colleagues. If you have any questions or feedback then please drop a note. P. S. - If you don't mind investing a few bucks for your learning, then you can also check out the JSP, Servlets, and JDBC for Beginners: Build a Database App, a more practical and hands-on course to master Servlet, JSP, and JDBC. I got it in just $15 on Udemy, you can also get it too. How to Compare String by their length in Java?